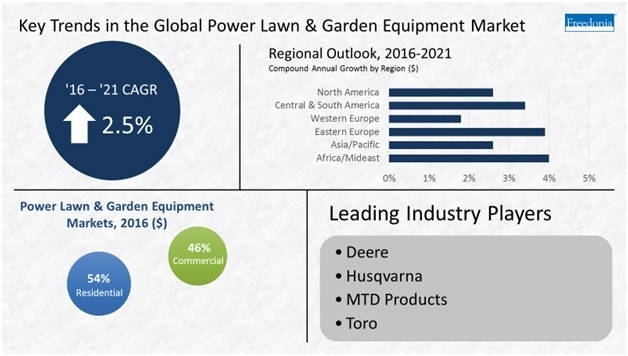 The global demand for power lawn and garden equipment is forecast to grow 2.5% per year to reach $24.2 billion in 2021, according to new findings presented in a free downloadable white paper by The Freedonia Group. Here’s a quick look at lawn and garden industry statistics from Freedonia’s infographic on the topic. In addition to the statistics highlighted above, Freedonia notes three important global trends to watch in 2018 and beyond. Engine-driven and corded electric products are expected to lose market share to battery-powered equipment. This trend isn’t limited to one geographic area. In fact, sales of battery-powered equipment are outpacing other options in every part of the world. Battery-powered equipment has improved, with greater power levels and run times, and now competes directly with commercial-grade engine-driven products. Not only that, cordless battery-operated systems are popular for robotic lawnmowers and other smart products, and they are considered quieter and more environmentally friendly. 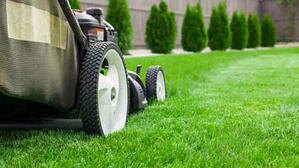 The U.S. is the world’s largest exporter of power lawn and garden equipment, and China is the second. A large number of small and medium-sized suppliers in China produce lower-end, basic products. However, this dynamic may change as larger, multinational firms compete on quality and not just price. As more Asian-based suppliers target the U.S. as an export market, the U.S. will become an overall net importer. Typical households in the U.S., Canada, and Western Europe spend more on power lawn and garden equipment each year than in the rest of the world. 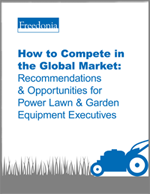 To access more expert information from Freedonia, download the free white paper titled How to Compete in the Global Market: Recommendations & Opportunities for Power Lawn & Garden Equipment Executives. Drawing on extensive research, this white paper outlines opportunities and insights into the power lawn and garden equipment industry. 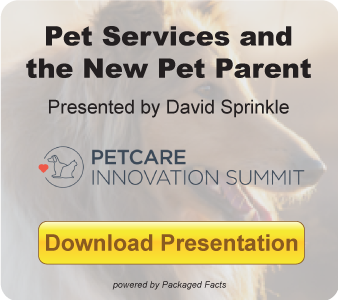 You'll learn more about the key factors driving growth and in which countries or regions that impact is strongest. About the Publisher: The Freedonia Group is a leading international business research company that serves more than 90% of the industrial companies in the Fortune 500. Freedonia’s analysts are frequently quoted in a wide range of publications including The Economist, The Wall Street Journal, and Forbes.